Now through the end of July, MidwayUSA is running a promotion that can save you up to 10% on your online purchases. Note: sale, clearance, out-of-stock and Nightforce products do not count towards the total. Gift certificates do not count towards the total. These discounts apply to in-stock, regularly-priced items only. Remember the deadline is July 31, 11:59 pm, Central Time. 2. Enter the promotion code into the box titled, “Promotion Code” on the shopping cart page. 3. See the discount applied on the Confirmation page near the end of the checkout. 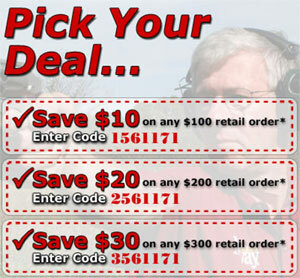 Share the post "Save Money with MidwayUSA Coupon Codes"